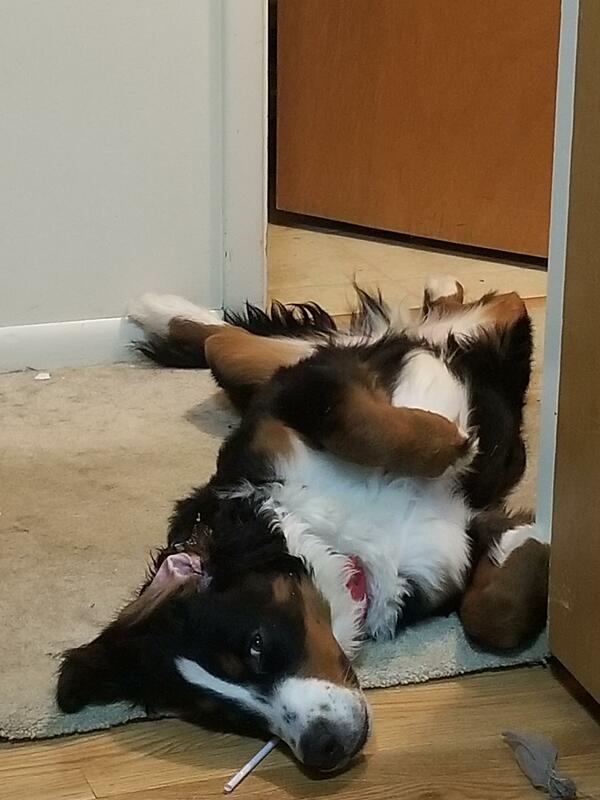 Just finished his bath is requesting pets. Abbey does blop a lot. The Marvel team up we really want! 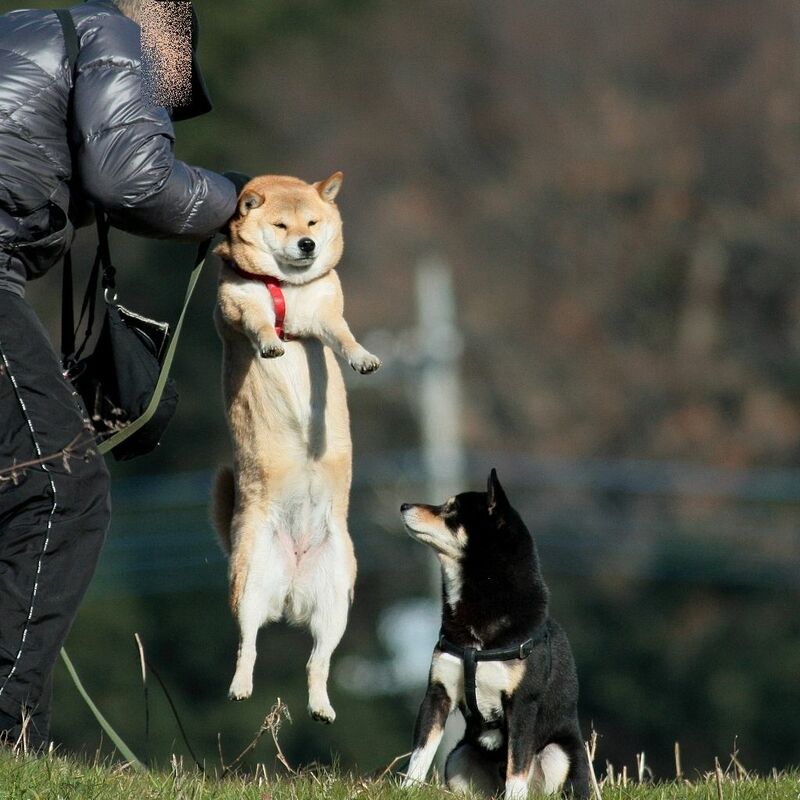 Shiba Inu being lifted up.